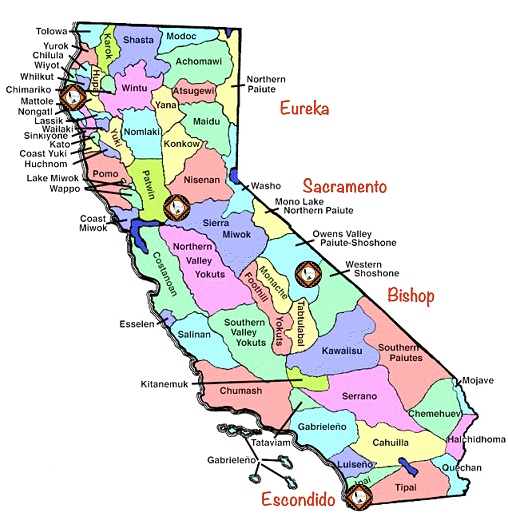 CILS has four offices in the state of California. If you are an individual or Tribe seeking services, please contact the office that serves the county where you live or the county that your Tribe is in. The majority of CILS’ funding comes from federal and state grants (see below). These funding sources limit who we can service and the services we can provide. All persons, tribes, tribal organizations and entities requesting free legal assistance must participate in an intake interview to determine eligibility. Individuals: CILS can provide free legal services if the person qualifies as “low income” (is at or below the federal poverty level) and has a legal issue or question of federal Indian law. *For individuals in our Escondido office, there is no low-income requirement for assistance for Native American victim of domestic violence and stalking. Tribes, Tribal Organizations, and Entities: CILS can provide free legal services if the tribe, tribal organization or entity qualifies as “low income.” The tribe, tribal organization or entity must demonstrate and certify that they do not have unrestricted funds to retain private legal counsel and that 51% of their members are at or below the poverty level. The tribe’s, tribal organization’s or entity’s legal issue must involve a question of federal Indian law. CILS may represent, on a fee-for-service basis, persons, tribes, tribal organizations and entities who are over income for free services. CILS’ fee structure is flexible and adjustable depending on the client’s available resources and unique circumstances. If you are dissatisfied by legal services received, please fill out the Grievance Complaint Form. *“Cy Pres”, meaning ‘as close or near to,’ refers to class action lawsuits where there has been a settlement but distribution of the funds to the class becomes impossible or impractical. In these cases, the court may order the settlement funds be distributed to organizations that serve a charitable purpose that is ‘as close or near to’ the original purpose of the lawsuit. CILS has received Cy Pres awards from a variety of court-ordered distributions. These awards help CILS continue carrying out its mission to assist tribes and individual Native Americans throughout California. How can you help? CILS’ Wish List! Donors and volunteers may contact the CILS Development Director at 760-746-8941 or info@calindian.org for additional information.